Thank you, always good talking with you. Very good, and detailed! He did talk as she said he would. THE FAERIES WILL NO LONGER GIVE ME TIMELINES FOR CLIENTS. THEY HAVE SAID WE NEED TO LEARN TO LIVE IN THE MOMENT HERE AND NOW, NOT THE PAST OR THE FUTURE. SO IF YOU ARE LOOKING FOR A TIMELINE, UNFORTUNATELY THEY WILL NOT ALLOW ME TO DO THIS ANYMORE. SO IF IT A TIMELINE YOU NEED, I NOW HAVE TO SUGGEST YOU SEEK ANOTHER READER FOR THAT PARTICULAR ANSWER. MY APOLOGIES BUT IT IS OF UTMOST IMPORTANCE TO ME TO KEEP MY CONNECTION TO THE FAE AND THIS IS WHAT I MUST DO, SO NO MORE TIMELINES!! I would like to request that you DO NOT call simply to "TEST" her abilities. The connection she has with the fairies is delicate and the connection we have with her so the counseling you receive may be altered if you are not seriously seeking answers. This may come back as an inaccurate reading as the faeries do have a mischievous side. My Guides have told me that we as a people have reached a new height and depth in our lives. They have asked me to ask you if you wonder why you feel the way you do about your life in general. Why there are bad days and good days? Why does love seem to elude you? Higher Powers have opened up a new realm in this area and they want you to have the answers to the "truth". They say all to often we seek selfish answers to petty questions which in actuality we should be seeking the answers that will better our lives so that we may attract the other things we need in our lives. They say when we seek the answers of "ourselves" first then the rest will come. The answers lie in the lives we have lived for many incarnations before. So come let's find the answers from the past together so we can begin to rebuild our futures! Here at Mystikal Faery Realm we like to sprinkle the fairy dust of truth upon you. We as a collective are the ones who have broken through the Veil of Illusion to help you realize that the truth is out there awaiting your return. I know you think a human is going to be doing your reading and you would be partly right. Mystikal Faery is a spiritual being living a human existence but reaching out to find other spiritual beings seeking the truth. She is one of us. Us being a collective of Spiritual Beings who have sought the truth and found it and she is now allowing us to work through her to bring the truth to you! We have taught her many things that she had long since forgotten and every time she counsels others, we as the collective Spiritual Beings are there to whisper in her ear the things you need to hear. If you listen to her counsel, you can rest assured she is receiving the wisdom from another plane of existence. The Spiritual Realm! So step into Our World and dare to drink and obtain the wisdom of the Spirit! Also! Just one last note before we go to play some more. Please be patient while she is reading for you! She is one of us but she still is human. We as a collective are working on changing that. So please be kind. The wishes of the Faeries are upon you! Introducing MY GROUP To Keen: ENCHANTED MYST. Give them a look and a call. ENCHANTED MYST is a group of Caring Counselors who love to listen and help you through your most awkward or trying times. Please give one of them a call for the answers you seek if I am not available and you need advice or wisdom! AND INTRODUCING SOME NEW BUT GIFTED COUNSELORS TO KEEN. THEY ARE WONDERFUL. THEY ARE MY "FAERY" FAVORITES AND ONE OF US AND SOME OF THE MOST CARING PEOPLE I HAVE HAD THE HONOR OF SPEAKING WITH AND CALLING FRIENDS! IF I AM UNAVAILABLE OR EVEN IF I AM AND YOU NEED A FRESH PERSPECTIVE, THEN PLEASE GIVE ONE OF THEM A CALL. YOU WILL NOT REGRET IT. Silver Faery Hawk has been a user of Keen since 2001. 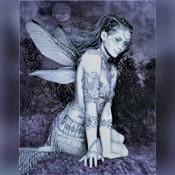 Getting Life Questions advice from Silver Faery Hawk through www.keen.com is safe, secure and confidential.